Fallas Week an event held in the city of Valencia. For the event, locals come together to build displays of prominent and historical figures. The displays are then given awards by a committee, and then the festivities end when everyone gathers to burn all their creations to the ground. No, that's not a joke! 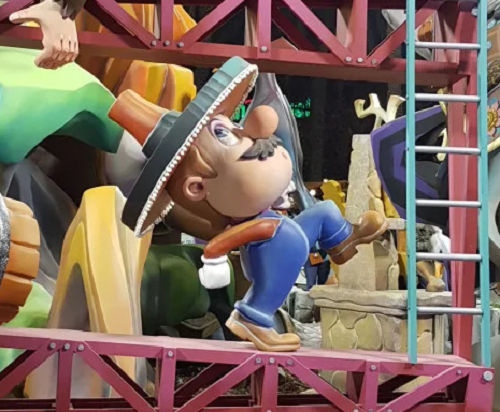 I'm just showing a very small snippet of the Mario-related display, as this one in particular is super political. If you're okay with strong political opinions any any/all sides, you can click over and check out the full piece here. I found it humorous. But burning everything afterwards isn&apos;t environmentally friendly. It seems like a waste, though given the subject in this story, I&apos;m sure some are only too glad to set it alight.